"We Can Help You With That!" What is Advanced Driver Assistance Systems (ADAS)? 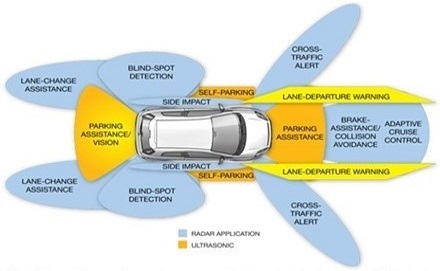 ADAS is used to describe vehicle features designed to assist drivers, increase safety and avoid collisions. These features can be as simple as blind spot warnings on side view mirrors or automatic braking when a pending collision is sensed, to as complex as fully autonomous vehicle operation. ADAS features are becoming more common each year and are expected to be standard equipment on most new vehicles in the next five years. Why does this matter when I get my glass replaced? Depending on your vehicle and the features it has, the ADAS on your vehicle may rely on sensors and/or cameras that are integrated with the windshield or other glass parts. When you replace your glass, these sensors may need to be recalibrated to ensure the systems perform properly. What do I have to do to ensure my vehicle ADAS will work properly after a replacement? If recalibration is necessary, (depending on your vehicle and features), we will let you know exactly what has to happen to restore the ADAS systems following a replacement. In some cases, your vehicle will need to be serviced by a dealer or other service center. If you file an insurance claim for your replacement, we will bill the insurance company for recalibration and arrange the appointment for you at the appropriate service facility. If you choose to pay for your replacement out of pocket, we will help you arrange the necessary recalibration and either include it in the price of the replacement, or leave that between you and the service facility (your choice). 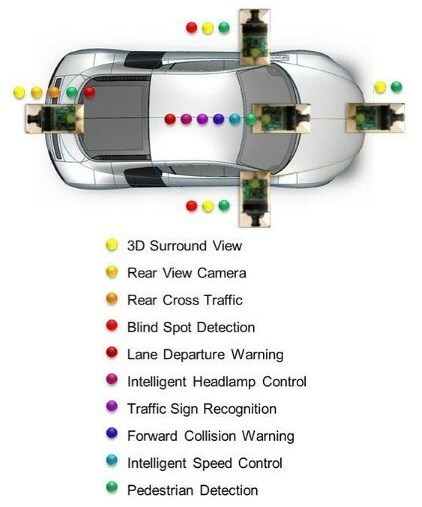 Here are some more details about ADAS in general. We stay up to date on technology that impacts our customers and will continue to evolve our service. If you have further questions, you can find more information online, or by contacting the service department at your local car dealer. The National Highway Traffic Safety Administration has defined 5 categories of ADAS in vehicles, each with specific characteristics. Level 4 can be ‘advanced automation’ or autonomous cars including monitoring the roads during the entire trip and taking decisions on their own. Level 5 is a fully autonomous state with no humans required. Adoption of each brand of autonomous car will vary across the different objectives – cool, comfortable driving for the affluent premium segment, safe driving for the common man, productive long distance truck drives on highways, hazardous situation driving within factories etc. Single Camera – Monocular = for Traffic Sign Recognition, Loss Damage Waiver (also called Collision Damage Waiver or CDW), Lane Departure Warning (LDW). Advanced driver assistance systems sensors and cameras can be located in the windshield, in the roofline near the headliner, in the front grille and the sides/rear of the vehicle. Passive (provide information): Forward Collision Warning (FCW), Pedestrian Recognition, Blind Spot Warning, Cross Traffic Alert, Night Vision and Traffic Sign Recognition to name a few. Active (take control of vehicle): Adaptive Cruise Control, Advanced/Autonomous Emergency Braking Systems (AEB), Lane Departure Warning/Lane Keep Assist (LDW/LKA) and Automatic Parking. Passive systems usually only display an audio or visual alert. Example, a Forward Collision Warning might sound a “beep” or “chime” and/or present a display on the dashboard. Active systems will actually change the speed or direction of the vehicle. As to whether the vehicle has ADAS applications fitted. Which ADAS function(s) require sensor calibration. What type of calibration is required for the systems: i.e. static, dynamic or combination of these. The best choice to properly recalibrate your systems. Recalibration is often required when servicing ADAS equipped vehicles. In some cases, this can be done “on site” by technician; in others, the vehicle MUST be serviced by a dealer to properly calibrate systems impacted by a glass repair or replacement. We are very familiar with both types of Advanced Driver Assistance Systems (ADAS) recalibrations (Static and Dynamic). Static Calibration - Calibration of windscreen based ADAS sensors by use of a Calibration Tool which may include, aiming targets, wheel alignment equipment and or diagnostic tools. The process is carried out without driving the vehicle. Dynamic Calibration – Calibration of windscreen based ADAS sensors by means of driving the vehicle on the road following the vehicle manufacturer’s prescribed method. May require diagnostic tool to perform this operation. Vehicles that require Static Calibration will need to be booked into an appropriate facility. We will ensure that the windshield being ordered/installed meets the right optical quality for the ADAS system to work as the Vehicle Manufacturer intended. In cases of Dynamic Calibration, the vehicle will need to be driven on public roads in order to complete the calibration service. If the calibration cannot be carried out at the time of the windshield replacement service an alternative date/appointment may need to be scheduled. Ensure that the correct calibration technology which includes the Diagnostic/Calibration Equipment is available at the time of service. Clearly communicate all times frames that recalibration may take.